We are honored and humbled that you are considering one of our Israel trips (as well as to Greece, Turkey, Jordan, and Egypt). It is our ministry mission to offer the very best, most extensive, highly biblical, non “touristy,” and inspirational trip to Israel and other lands of the Bible. Each trip includes a bunch of off-the-beaten-path sites and optional hiking excursions unlike about 90% of most “Israel tours.” Traveling with us is like experiencing a continual “pictorial Bible study.” Going on one of our trips and encountering Israel firsthand is life-transforming! It is the ultimate discipleship encounter! As God leads and provides, we warmly welcome you to join us! Feel free to request a free brochure for any of our upcoming Israel trips! 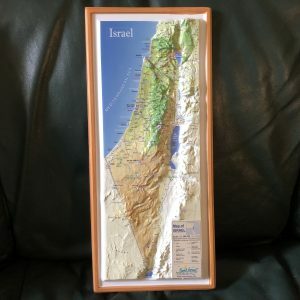 14 Day Extensive Israel Tour (with Mt. Sinai, Egypt!). All Inclusive Price: $4,792 from JFK, NY. $3,849 for “land only” travelers. (Note: Sorry, this tour is now closed/sold out). 14 Day Extensive Israel Tour. All inclusive price of $4,569 from JFK, NY. $3,549 for “land only” travelers. This tour has some extra hikes built into the program. 12 Day Israel Tour (with optional 3 Day extension to Jordan & southern Israel). All inclusive price of $4,169 from JFK, NY. $3,144 for “land only” travelers. NOTE: While this is a regular tour, we are also providing two sign language interpreters for the deaf/hearing impaired. 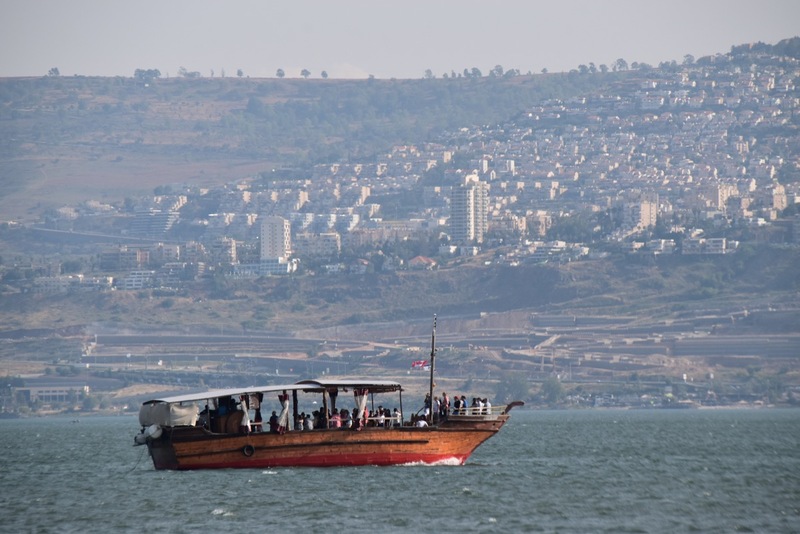 14 Day Israel Tour, with a “reflection day” in the Galilee. All Inclusive Price: $4,178 from JFK, NY, $3,504 for “land only” travelers. .
11 Day Israel Tour (with an optional extension to Egypt – Luxor and Cairo). All Inclusive Price: $3,896 from JFK, NY, $2,944 for “land only” travelers, $1995 for the Egypt option. 11 Day Israel “FAM” Tour (for active pastors/clergy & spouses, with an optional extension to Egypt – Luxor and Cairo). All Inclusive Price: $1,645 ($1,895 for spouses) from JFK, NY, $995 ($1,295 for spouses) for “land only” travelers, $1,645 ($1,895) for the Egypt option. 11 Day Israel Tour (with optional tour to Jordan & Southern Israel). All Inclusive Price: $4,114 from JFK, NY. for “land only” travelers, $1,095 for the Jordan/southern Israel option. NOTE: This tour has only a couple of spots left… it will soon be SOLD OUT! A waiting list will be created through our agent, imagine Tours & Travel. Sorry! A great alternative tour would be the May 2020. It’s virtually the same itinerary, but with an extra day! The October 2020 trip is also Israel/Jordan. 12 Day Israel Tour (with optional tour to Jordan & Southern Israel). All Inclusive Price: $4,557 from JFK, NY. $3,321 for “land only” travelers. The optional Jordan & southern Israel extension is $1,277 (based on a minimum of 15 passengers). 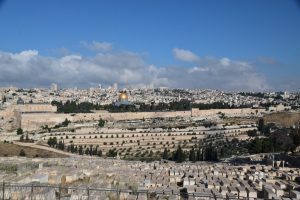 10 Day Israel Tour (with optional 4 Day extension: extra day in Jerusalem, southern Israel, and Israel’s Mt Sinai – Har Horkom). All Inclusive Price: $4,077 from JFK, NY. $2,977 for “land only” travelers. The optional extra Jerusalem & southern Israel, including jeep rides to Har Karkom (Israel’s “Mt. Sinai”) – $1,377. 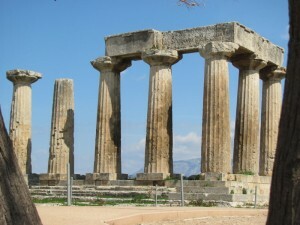 11 Day Greece & Ephesus Tour. All Inclusive Price: $4,475 from JFK, NY. $3,825 for “land only” travelers. This trip includes a 3 day Aegean Cruise to 4 islands and to Ephesus, Turkey. 11 Day Israel Tour (with optional tour to Jordan & Southern Israel). All Inclusive Price: $4,355 from JFK, NY. $3,445 for “land only” travelers. The optional Jordan & southern Israel extension is $1,037 (based on a minimum of 20 passengers). 14 Day Turkey & Israel Tour (featuring all the 7 Churches of Revelation!). All Inclusive Price: 4,777 from JFK, NY. $3,997 for “land only” travelers. This is a unique combined Turkey & Israel study tour! For sure, there are many good Israel tours out there from which to choose. 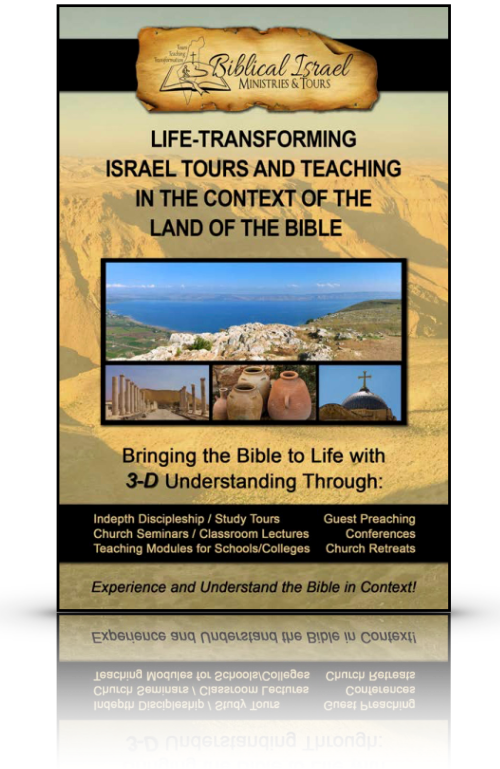 Praise God for this, for more and more believers in Christ need to see and experience the “land of the Bible!” Yet because of the type of tours we lead, we like to humbly categorize our trips as a step above just good … rather, great! 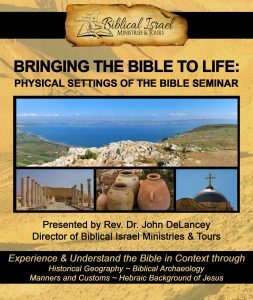 Dr. DeLancey personally and carefully writes and plans his own trip itineraries that will take you to the maximum number of biblical sites. Our Israel trips are “non-touristy” tours that goes to many sites not visited by the average tour. Additionally, our tours are not cookie-cutter” tours (like 90% of Israel tours are) that visit many “traditional sites and churches. Rather, we offer tours that are more like a discipleship journey that prioritizes genuine biblical sites, many “off-the-beaten-track” sites as possible, optional hikes, and intentional times of reflection that will engage your mind and heart! Drawing from his one year of study in Jerusalem (at Jerusalem University College) and leading 66 Israel tours to date, you will be on the receiving end of his vast experience and passion. Many of these trips have included Jordan and Egypt extensions as well. He has also led 9 Greece & Turkey Tours. If you are looking for a great tour, namely a tour that immerses you into the geography of the land and the customs and culture of the Bible, we humbly feel you’ve found the right place! The world of both the Old and New Testament will come alive at each and every site we visit! More specifically, the life and ministry of Jesus will come alive as you will literally walk where The Master walked! We strongly feel that each and every Israel trip really is the ultimate discipleship program that will transform your spiritual walk with God! Your excitement for reading God’s Word will reach new heights and your heart will be touched beyond imagination! Simply put, a trip to Israel and other lands of the Bible is a lifetime investment in your “faith walk” with God. You will grow stronger and go deeper in your relationship with Christ! You will never be the same! Round-trip airfare from the listed departing city (e.g. Usually an east coast city: NY, Phila, Newark, Toronto, etc…). Airline taxes & fuel surcharges (these average about $550-650, depending on the tour). Tips ($140-200, depending on the length of the tour). This includes tips for all the hotel services, driver, guide, etc… Dr. DeLancey distributes all of these on your behalf, making it hassle-free for you! Hotels. These are 4 to 4+ deluxe hotels. They are very nice and comfortable, located in great locations! 2 daily meals. A buffet breakfast and dinner are served at the hotels each day. There is always very wide range of food from which to choose (including gluten free foods). You will love the food! All site entrance fees. 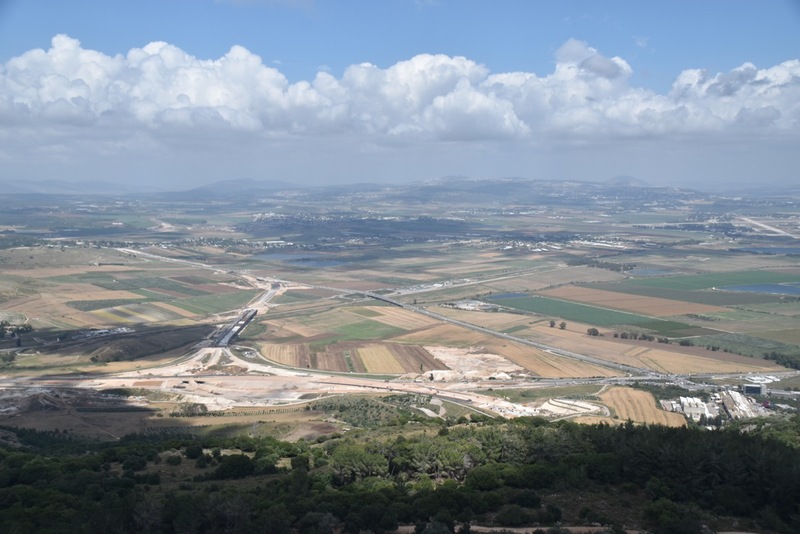 Depending on the tour, we visit between 12-18 sites (of the 40-60 total sites we see) that are Israel National Parks that require an entrance fee. These are all covered! Each Israel tour have “early-bird” registration incentives. These discounts range from $50 – $150, depending on when you make your deposit of $500.00 (your deposit is what guarantees your spot on the tour). The early-bird discount is kindly offered by imagine Tours & Travel (iTT). If you have any questions about these early-bird discounts, feel free to call 863-709-9208. Each tour’s detailed pricing is listed on its own tour page of the web site. A link is also provided to sign up on-line through iTT, the agency we exclusively use to arrange all the travel details for each of our trips. You may contact iTT also for specific pricing for helping you make domestic connections from your area airport to our departing airport. They are happy to serve you! The simplest and quickest way would be use the on-line registration link below. This will take you directly to the web site of the Israel travel agent we exclusively use, imagine Tours & Travel (iTT). They handle all the registration for each of our BIMT tours. They are the best in the business of Israel travel! This is a safe & secure way to place your $500 deposit instantly with your credit card and reserve your spot on this tour. When this new page opens, simply type in “DeLancey” in the box provided. Then click on the specific tour that God is leading you to join. If you have any questions while you are signing up on-line, feel free to call the iTT office (863-709-9208). (Again, once you see the open box, simply type in “DeLancey” and click “submit.” Once you do this, you will see all the available tours Dr. DeLancey is leading). You may download the brochure and registration forms directly from the web page of the specific tour that you are considering. You may then print off and complete the form and mail it directly to imagine Tours & Travel along with your $500 deposit that reserves your spot on the tour. You may also request a free “Israel information” packet from us by filling out the on-line “request tour information” (below) or by calling Dr. DeLancey (412-999-5697). We always include a brochure about our ministry too! We will be happy to mail a packet to you. Both the Old and New Testaments will come alive in immeasurable ways. We like to say to people that you will be able to read the Bible in “3-D” once you see the Bible in context. We use the world of archaeology, historical geography, and an appreciation of ancient near-eastern culture to bring the Scriptures alive! We read Scripture at every site! Every Israel tour is led by Dr. DeLancey. He is a pastor, teacher, and archaeologist. 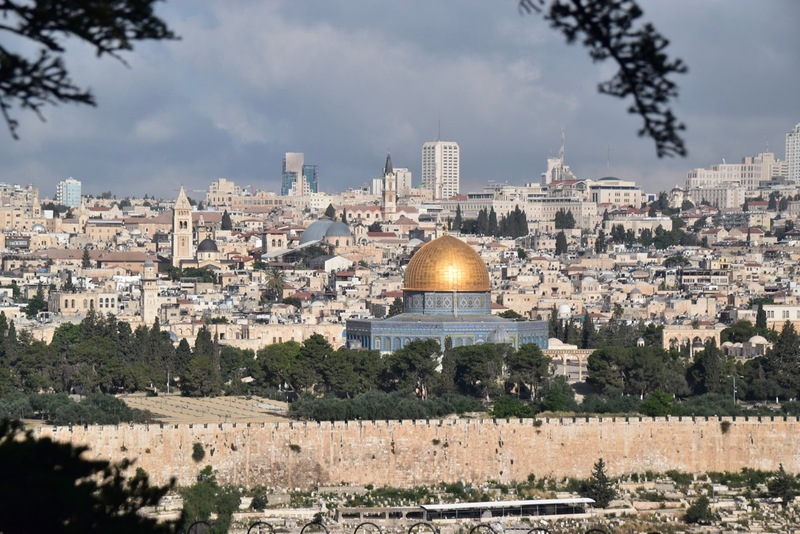 Having studied in Jerusalem for one year and excavated at biblical sites in Israel, he leads highly biblical, in-depth Israel tours from an evangelical perspective. Every Israel tour (and to other lands of the Bible) are not only meant to enlighten your understanding of Scripture, but also to touch your heart. We will enjoy times of worship and reflection together (Dr. DeLancey takes a guitar and lead in worship times along the way). We’ll also share Communion at the Garden Tomb. We will enjoy the fellowship of one another all day long! We see all of the major sites in Israel, plus a lot more your average Israel tour. Many Israel tours only take people to traditional sites and churches, without much interaction with Scripture or authentic biblical sites. But we will take you to a number of off-the-beaten-track sites. Here you will be able to read the Bible, study, and contemplate the biblical story “in context” (history, geography, archaeology) of what’s around us. 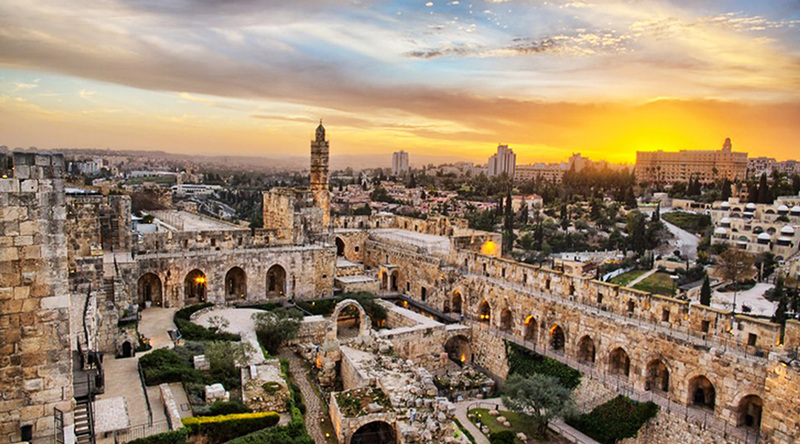 Every trips are designed for both “first-timers” as well as “returnees” to Israel. You will see much, much more on each of our Bible-based Israel tours. Coach travel makes it comfortable as well. All trips are suited for people with walking abilities at any level. We’ll zero in on the life and ministry of Christ, especially in the Galilee as well as in Jerusalem. We’ll explore the words of Jesus (from Matthew), the works of Jesus (for Mark), the chronology of Jesus’ ministry (from Luke), and both the Deity and yet opposition that Jesus encountered (from John). This is why we need a full two days in the Galilee (while most tours only spend one). We keep your safety as our highest goal. Rest assured, traveling to Israel is safe! With our personal contacts and connections on the ground in Israel especially, we get updates all the time about the conditions. Despite how our news media sensationalizes the situation there, we view safety as a high priority and it is not an issue at all. We have never had any safety issues in over 25+ years of leading trips. Each person (or couple) gets a copy of the book, Devotional Treasures from the Holy Land (Third Edition, November, 2016). It is sent to you around 60 days prior to the trip. Private coach/bus. In Israel, we only use newer buses complete with wifi. Private guide. Shlomo ben Asher is the guide Dr. DeLancey exclusively uses. He is one of the best! Dr. DeLancey and Shlomo co-teach at sites. They have been together for about the last 25 trips or so! When we have two-bus tours, our second guide is always top-notch as well. While on tour, Dr. DeLancey updates the web site each night of the trip with both text and sample photos, allowing your friends and loved ones to follow our daily experiences. As people see your smiling face on-line, we have literally 100’s who are not only following us but praying for us as well. The average group size for most of Dr. DeLancey’s tours is around 25-45. This means the group would travel together on one bus. Occasionally on more popular tours, the group size can be potentially 45-95. For groups that are larger than 50 people, a second bus is used. When a second bus is required, Dr. DeLancey offers teaching at many sites for both buses, as well as spends time in each bus. On occasions when traveling with two buses is needed, trips still work quite well since “head-set systems” are used during the trip. Our travel agents, imagine Tours & Travel (Lakeland, FL) are the very best in specializing in Israel travel. At any given time, we have multiple groups in Israel and other countries. iTT views their agency not only as a business but as a ministry that aims to honor God in all they do. They take care of all the travel details so that we won’t have to! 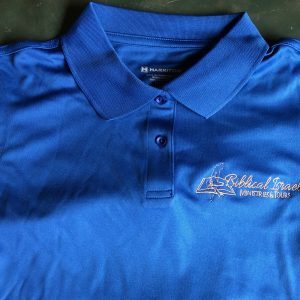 Their entire staff look forward to helping you in any way! Our pricing is always competitive. All the costs of each tour are all-inclusive prices. This means that all the departure taxes & fuel surcharges (presently around $600), airfare, 4 star/4 star plus hotels, 2 meals daily, tips for guides, drivers and hotel services (these are all handled for you), and all site entry fees. On some of our tours, we go to up to 16-18 parks (most other tours go to only 5-7)! All of these fees are covered. Additionally, each Israel tour has an early bird discount for people making early registrations and deposits. Comparing “apples to apples” with other tours agencies, the price is always great! There is even land-only pricing that has been arranged for folks who either want to use their own frequent flyer miles to and from Tel Aviv (or other destinations) and to accommodate those from other countries who wish to join us. We warmly welcome people from all over the world to join us! We usually have a few from different countries on every tour! What is not included in the all-inclusive price are the following: The cost of your domestic connecting flight to our departing city, lunches, and travel insurance through Travel Guard (this is recommended but completely optional). In today’s technological world where we need to connect all the time, our private coaches/busses that we use have free wifi. This goes for the lobby area of all of our hotels as well. This is a nice practical perk. We offer privately-led tours for churches who may want to travel as their own group. We can even offer your pastor complementary travel so that your pastor can join me in co-leading your group. What a tremendous ministry and discipleship encounter this would be to experience the Holy Land together as a church family! As God leads and provides, we look forward to sharing our personal friendship and ministry with you! We are here to serve you and help you grow in your walk of faith with Christ! The Old City of Jerusalem is an amazing place. Walk through each of the “quarters” of this city (Jewish, Christian, Armenian, and Muslim) walled by the Ottoman Suleiman the Great in 1537 AD. About 35,000 people live inside the Old City today! Each quarter has its own unique characteristics, cultural flavor and even smells. There are lots of shops for tourists and locals alike. The circumference of the walls of the Old City is 2.8 miles. There are 8 gates of the Old City: Jaffa, New, Damascus, Herod’s, Stephen’s (also called Lion’s), Eastern (sealed), Dung and Zion’s.